William McGraw, baritone and Professor of Voice at the University of Cincinnati College-Conservatory of Music, studied voice with the renowned Wagnerian soprano Margaret Harshaw and began his professional singing career under the care of the inestimable Boris Goldovsky. McGraw’s operatic roles include Figaro in Il Barbiere di Siviglia, Marcello in La bohéme, Enrico in Lucia di Lammermoor, Germont in La Traviata, Konrad Nachtigall in Die Meistersinger, Marco in Gianni Schicchi and John Proctor in The Crucible. McGraw has performed with opera companies including Boston Opera (with the late Sarah Caldwell), Goldovsky Opera on Tour, Greater Miami Opera (now Florida Grand Opera), Cincinnati Opera, Dayton Opera, Indianapolis Opera, Maracaibo, Venezuela Opera, Shreveport Opera and Kentucky Opera. Professor McGraw has had the good fortune of sharing the solo stage with internationally acclaimed artists soprano Deborah Voigt, tenor Ben Heppner and mezzo-soprano Stephanie Blythe at Cincinnati’s May Festival, under the baton of maestro James Conlon. You can find McGraw as Manuel in Falla's La Vida Breve (recorded on Telarc), and as a baritone soloist in Liszt's oratorio St. Stanislaus, which won the International Liszt Competition and is also recorded on the Telarc label. In the summers of 2010 and 2011, Professor McGraw taught at the CCM Spoleto Music Festival in Spoleto, Italy. In the summers of 2013 and 2014, Professor McGraw taught at Opera On The Avalon under the direction of Cheryl Hickman in St. John’s, Newfoundland. In the summer of 2016, Professor McGraw taught in the wonderfully unique art song festival, SongFest, housed in the Colburn School in Los Angeles. SongFest, which features influential living composers of song as well as high visibility coaches of art song, is the creation of Rosemary Hyler Ritter. 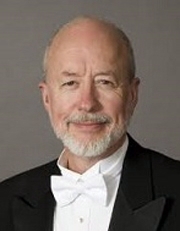 Professor McGraw has been on the CCM faculty since 1986 and many of his former students have gone on to successful careers in the performing arts. In 2013, Professor McGraw was very proud to have former student, bass-baritone Thomas Richards as a national winner of the Metropolitan Opera National Council competition in New York City. Another former student, soprano Caitlin Lynch, made her Metropolitan Opera debut in 2013 as Biancofiori in the Metropolitan Opera’s presentation of Francesca da Rimini. In 2015, McGraw’s former student Amanda Woodbury Bodine made her Metropolitan Opera debut to great acclaim. Talya Lieberman, a recently graduated opera student of Professor McGraw’s, is currently engaged at the Komische Oper Berlin. Additionally, McGraw’s current and former students have performed in the major opera houses of Bonn, Bremen, Paris, Mannheim, Freiburg, Salzburg, San Francisco, Houston, Indianapolis, Santa Fe, New York City, Los Angeles, Chicago and Cincinnati. Students have also performed in numerous young artist programs such as those of Cincinnati Opera, Opera Theater of St. Louis, Des Moines, Central City, Chautauqua, Wolf Trap, Glimmerglass, Houston Grand Opera, Merola, Music Academy of the West with Marilyn Horne, Florida Grand and Chicago Lyric Opera. Professor McGraw is proud to have students teaching in leading universities and colleges in the United States. Professor McGraw has been named Omicron Delta Kappa Man of Merit by Baylor University in recognition of outstanding accomplishments.